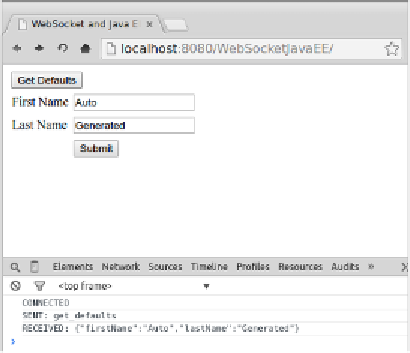 function will be called when a connection is made to our WebSocket server endpoint. while communicating with the WebSocket server endpoint. them to simply display a message on the browser log. clicking on the Console tab. endpoint and populates our form with the appropriate values. gets this exact string as a parameter.